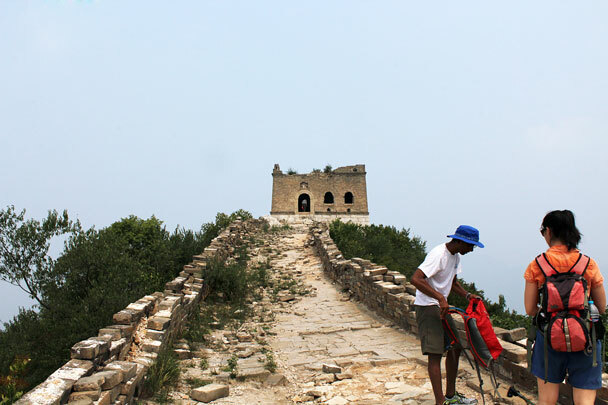 In Brief: See a small set of nine photos from our Jiankou to Mutianyu Great Wall hike. 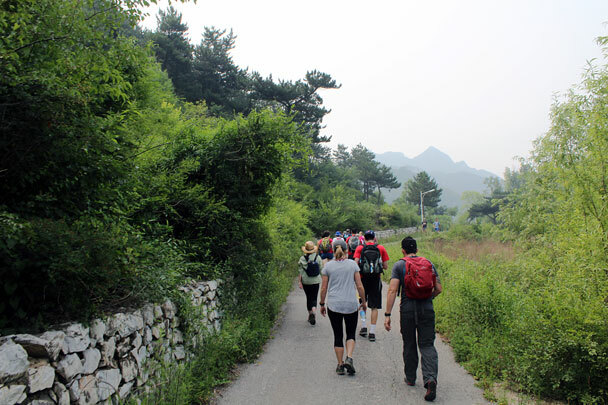 The hike from Jiankou to Mutianyu starts in a small village at Jiankou. 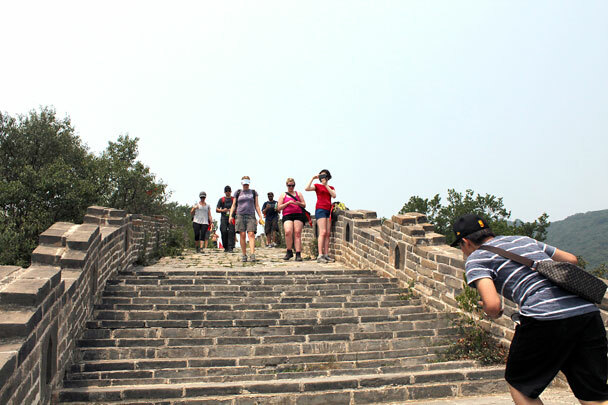 We do a big uphill climb to get on to the Great Wall and then follow it all the way over to Mutianyu. Parts of the Great Wall at Jiankou are a bit steep for fun on a hike – we avoid those parts on this hike, but you can get a look at them in the photos in this set. 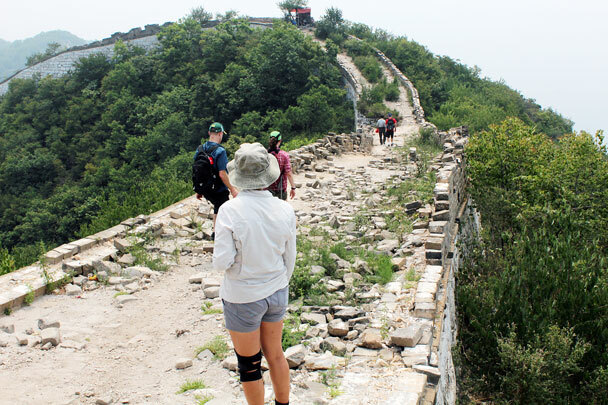 We finish the hike on the restored Mutianyu section of Great Wall, an area popular with tourists. The hike starts out with a warm up walk on a flat road. 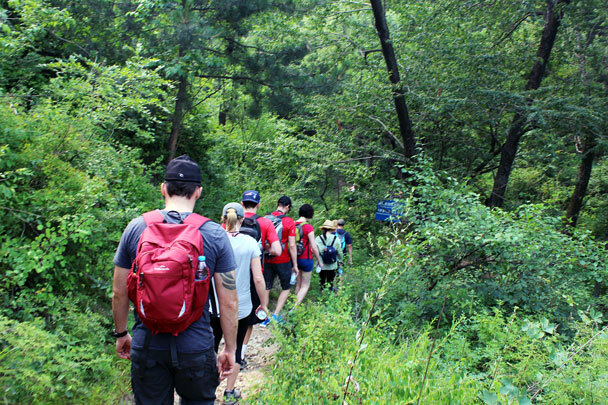 We hike up a forested valley to get to the Great Wall. On the Great Wall, just below the General’s Tower. 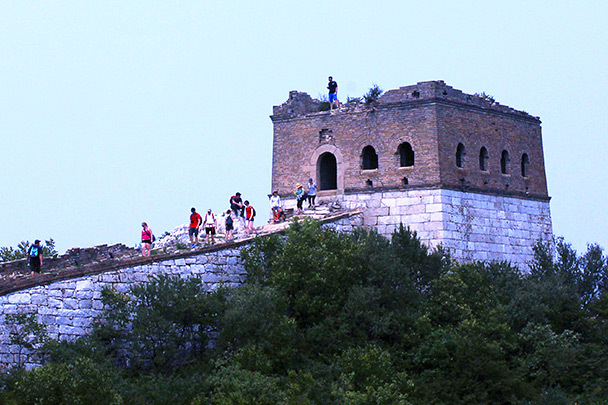 From the General’s Tower you get views of the some of the steeper sections of wall at Jiankou. We’d be hiking this way, on a flatter part of the wall. Looking back at the General’s Tower. 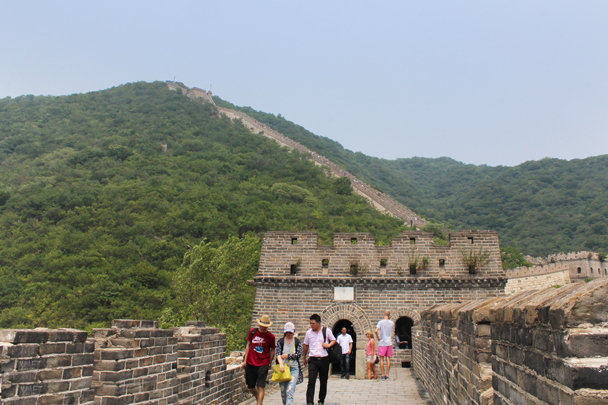 This part of the Great Wall is fully restored. 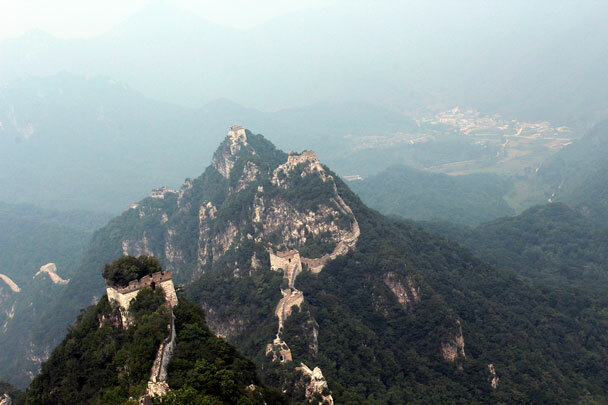 Views of the repaired Great Wall at Mutianyu. 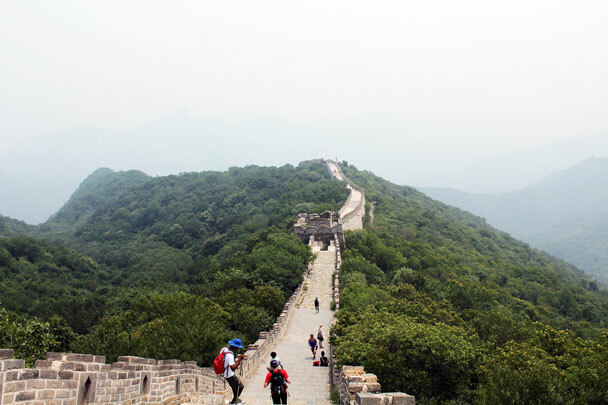 In Brief: A set of 25 photos from a misty walk along the Great Wall Spur.